With winter fast approaching, Yokohama offers a comprehensive range of premium winter tyres ideal for driviers of all cars, 4x4s and light commercial vehicles lookingincreased saftey, preformance and guaranteed mobility throughout the winter. New for 2017, the first Yokohama brand winter tyre to use the advanced "BlueEarth" fuel-efficient technologies, the BluEarth W*drive V905 has been designed to meet Europe's increasingly stringent environmental regulations. The tyre features a directional pattern with wide grooves and a new compound offering superior stability and performance on snow, ice and wet roads, Ideal for drivers of perofrmance cars, medium sized cars an SUVs. The BluEarth W*drive V905 is available in sizes from 15"-22". Also from Yokohama's W*Drive winter tyre range, the W*drive V902 tyre is specially constructed using a flexible polymer compound with a unique high-rigid asymmetric tread design to drain water, snow and slush effectively while 3D shaped sipes provide excellent traction in a wide range of temperature zones, for drivers with RunFlat tyres Yokohama offers the W*drive V902 ZPS (Zero Pressure Systen) winter tyre, featuring all the same benefits, with the added reassurance should a puncture occur. From Yokohama's recently expanded all terrain, 4X4 and SUVtyre range, the Geolandar A/T G015 showcases the latest compound technology and new tread pattern. Festurign the three-peak mountain snowflake symbol, a trusted mar that the tyre is suited to winter driving. The G015 offers improved grip in wet, icy and snowy conditions. It is optimised to deliver better wet braking, improved hydroplaning resistance, greater wear resistance and lower noise. The W*drive WY01 allows vans and other light commercial vehicles to continue to operate in the most reacherous of winter conditions. This tyre has been optimised for wet braking and handling, delivering excellent performance on both snow and ice with excellent durability. Hometyre supply and fit the full range of Yokohama tyres for car, 4x4, and light commercial vehicles. Call today for more information. With the weather becoming a little more sporadic and seasons not necessarily falling when expected, the use of All Season tyres is growing in the UK. Pirelli has developed a range of All Season tyres for cars, SUVs and vans. For the car solution, Cinturato All Season, is a tyre that works equally well throughout the year and offers the highest standards of safety on every road surface. It is perfect in summer, without any of the performance drop-off seen by winter tyres in warmer conditions, and works just as well in non-extreme winter conditions, as typically seen in towns and cities. 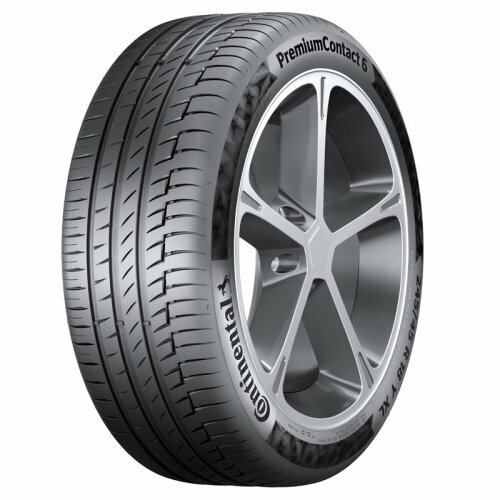 The Cinturato All Season delivers its very best performance in those conditions where having either a summer tyre or winter tyre would be a compromise. 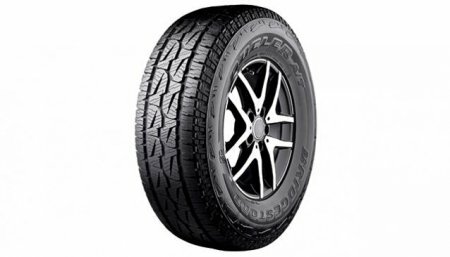 For SUVs Pirelli offers the Scorpion Verde All Season, which like the Cinturato All Season, is designed to provide optimum performance in both summer and winter conditions. This tyre is homologated for a range of high-performance vehicles including the Porsche Macan, Range Rover Evoque and Volvo XC90. For the vans the Carrier All Season have been developed. This tyre also carried the snowflake symbol on the sidewall signifying it's suitable for winter use in markets where legislation requires drivers to change to winter-specific rubber. In selected sizes the Carrier All Season also benefits from Pirelli's innovative safety system 'Seal Inside'. Hometyre supply and fit the full range of Pirelli tyres for car, 4x4, and light commercial vehicles. Call today for more information. Great news for the early birds! We're now open to take your calls from 8am Monday to Saturday. Get your day organised and your Hometyre visit booked early. Goodyear has announced the award winning Ultra-High Performance Eagle F1 Asymmetric 3 tyre, equipped with the latest SealTech technology, has been accedited by VW for OE fitment on the new Arteon. Goodyears SealTech technology is their latest extended mobility solution, based on a post-cure sealant technology. SealTech seals puntures up to 5mm diameter in the tread area of the tyre. The SealTech marking will be visable on the sidewall of the tyre. Hometyre supply and fit the full range of Goodyear tyres for car, 4x4, and light commercial vehicles. Call today for more information. It'd be easy to neglect the car a little at this time of year - certainly without the worry of frosty mornings, slippery roads and bleak skies. Create a list in your 'phone for travel related numbers. Are you in a breakdown scheme? Do you have your insurers details? Obviously you need 03334445454 for tyre related stuff! Good vision is absolutely vital to safe motoring. Bright sunlight on grubby glass can cause huge restrictions in vision. Easiest way to clean them? Spray on normal window cleaner and use newspaper to wipe it off! Something about the paper soaks up all the grease and leaves glass crystal clear! Last, but not least, grab a friend do operate the controls and do a light check around the car. Those brake lights will be vital if you're on foreign roads. Don't forget,you may need to carry spares legally too! Check your windscreen wipers are cleaning the screen properly and the rubber isn't split. Too many holiday makers jump in their cars all geared up for a well earned break - only to waste hours or even days due to perfectly avoidable issues. Don't forget to check that your MOT and service is up to date before travelling too! ... all at your choice of location, date & time & NO extra cost! Aged Tyres? What's it all about? You may have heard the name Frances Molloy in the press recently? It's not a name synonymous with tyre safety historically. Sadly she'x only become a serious campaigner due to the loss of her son after a bus crash. The results of the crash investigation laid blame solely on the catastrophic blow-out of one of the vehicles tyres. For most people, a tyre is just a thing that has to be fitted in order to use a vehicle. There's not a great deal of thought placed on the huge role it plays in the prevention of an early termination to your life each and every time you drive, or are driven in a vehicle. In fact, while our government (one of very few left in Europe) actually allows the sale of used tyres to unsuspecting motorists and fails to monitor the conditions of these sales at all, it's almost easy to understand why so many people are completely complacent in their thinking about tyre safety. If the government appears to think that there's no issue in allowing unscrupulous traders to sell dangerous scrap as 'part worn' then why should we worry? Well worry we should. You see a tyre is made from predominantly rubber - a natural product. Throw in a whole host of other materials as well of course but mostly rubber. Like any natural product (ourselves included) rubber ages from minute one. From soft and elastic it becomes harder and more brittle with age. Add the elements of weathering, road abuse and forces of acceleration and that tyres working lwindow rapdily diminishes with every year. Back to Mrs Molloy's son. The bus he was travelling had tyres on it that were over ten years old. One reached the point of no return and let go. He died as a result. This should not have happened and could have easily been avoided. Every tyre is marked with a date code. A four digit number that denotes the week and year of manufacture. Mrs Mooloy is campaigning hard for new rules to be introduced to prevent the use of tyres over ten years of age - and we fully support her. Every year we fit thousands of caravan tyres up and down the UK. Owners of these vehicles change their tyres at 5 years of age. WE can honestly say that we've never replaced a worn out caravan tyre. In fact sometimes they look like new! We've not been guided from above about the importance of tyre safety - so naturally, most of us disregard it - until it's too late. The TYRED campaign is gathering momentum and should this be recognised and passed, we can only hope that tyre saftey finally gets the recognition it has deserved for so long. A new research by road safety charity TyreSafe has revealed nearly a third of all tyres in the UK are currently illegal. TyreSafe found that more than 10 million tyres are illegal - either below the 1.6mm minimum depth or defective with bulges and tears. Bristol was found to be the worst city for tyre safety. TyreSafe's research revealed almost a half of all tyres in Bristol are illegal, far above the UK average of 29.9%. The north-west of England was found to be the worst regional area - nearly a third of all tyres were illegal. Greater London bucked the trend with just 13.8 per cent. The data also revealed Northern Ireland has the highest national share of dodgy tyres, on 36.5 per cent. TyreSafe chairman Stuart Jackson said: "Well maintained tyres significantly reduce the risk of being involved in an accident." The number of motorists given penalty points for driving on defective or worn tyres has gone up by 40 per cent since 2013, new research shows. Goodyear has announced that its Eagle F1 Asymmetric 3 SUV, Ultra-High Performance tyre, has been chosen as original equipment on the new Alfa Romeo Stelvio, the first SUV from the iconic Italian manufacturer. The Stelvio will be fitted with the Goodyear Eagle F1 Asymmetric 3 SUV in sizes 235/65R17 104W, 235/60R18 103W and 235/55R19 101Y, the tyres will be marked 'AR' to indicate they are approved by Alfa Romeo as original equipment on their vehicles. Goodyear developed the tyres focusing on ultimate handling performance in all conditions. Active braking technology and a new grip booster compound deliver strong grip for short braking and performance handling on wet and dry roads. A new, lightweight, reinforced construction technology allows for steering precision and durability as well as handling, cornering performance, tread wear and fuel efficiency, to deliver a top-class driving experience to Stelvio drivers. The new Alfa Romeo Stelvio can rely on Goodyear's latest UHP innovative tyres, featuring outstanding technology, and enhancing the sporty driving pleasure and the unique emotions provided by the Alfa Romeo spirit. "The fact Alfa Romeo has chosen Goodyear as original equipment for its first SUV confirms our expertise in designing tailor-made tyres for car manufacturers' new flagship vehicles." said Nick Harley, Goodyear's Managing Director OE Consumer EMEA. "To Meet the requirements for this eagerly awaited car, we had to deliver a tyre that enables the Stelvio driver to appreciate the benefits of a SUV, as well as to fully enjoy the Alfa Romeo spirit." Hankook is further extending its tyre portfolio through the expansion of the line-up for its high end tyre Ventus S1 evo2 SUV. The tyres were developed not only around the focus of safety, performance and comfort-related aspects typical for premium automobiles, such as precise handling, excellent braking performance in both dry and wet, high directional stability and low rolling noise. Hankook's engineers also realized a considerable reduction in rolling resistance. The latter was achieved by applying a state-of-the-are high-grip styrene-polymer-silica mixture that not only enables optimised wet grip, but also enhances the tyre's environmental compatibility. 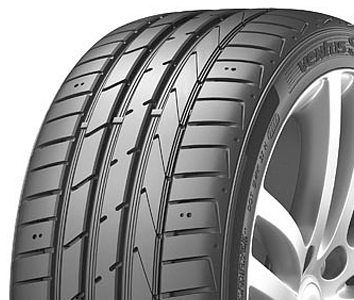 The sophisticated technology for the Hankook Ventus S1 evo2 SUV with its multiple tread radius and double-layer rayon carcass also effectively support SUV terrain characteristics by providing maximum tread contact under all conditions. Hankook will provide specific high-performance yet very low rolling resistance SUV versions from its multiple award-winning Ventus line also for the popular Mercedes-Benz GLC and GLC Coupe. Hankook supply the Mercedes-Benz GLC in size 235/65R17 V Mo or 235/60R18 V Mo. The 18 inch MO version distinguished itself during the test phase for its outstandingly low level of rolling resistance. Additionally the sporty Mercedes-Benz GLC Coupe will be fitted with 235/55R19 Y MO for the front and 255/50R19 Y MO for the rear. Hometyre supply and fit the full range of Hankook tyres for car, 4x4, and light commercial vehicles. Call today for more information. While Continental remain firm in their belief that for optimal performance and safety, tyres should be season specific - which is a very fair point - the new All Season Contact will soon hit the shelves this year. Designed specifically for vehicles used in urban areas, mild climates and carrying out relatively low mileage, the new all season product combines good winter and summer performances with class leading rolling resistance. Available in sizes from 14" to 18", the new tyre represents Continentals reaction to other similar products gaining popularity across Europe and also shows a slight shift in stance in recognising a change in trends. Continental AllSeason Contact will be available for mobile fitment by Hometyre technicians as soon as they arrive into the UK. Call for more information. 8 out of 10 of the New Porsche 911 GT3 rolling off the production line will be fitted with specially-developed Michelin Pilot Sport Cup 2 N1 ultra-high-performance tyres in 245/35ZR20 front and 305/30ZR20 Rear sizes. Designed specifically for the Porsche 911 GT3, the Michelin Pilot Sport Cup 2 N1 is the latest generation of Michelin's road-legal track tyres. Compared to its N0 marked predecessor it offers improved lap times, stability and more sporty handling, and provides drivers with a unique balance between safety and driving enjoyment that makes it suitable for everyday road use, as well as in very demanding conditions on the racetrack. The co-development of these tyres took two and a half years and during this time the tyres were developed and fine-tuned to suit the characteristics demanded by Porsche engineers for the new 911 GT3. This resulted in tyres which offer very high grip levels, consistent performance and excellent front/rear balance, while still conforming to European regulations concerning tolling resistance. This extensive development process led to the production and testing of around 350 prototype tyres and included intensive track testing. An innovative range of motorsport-derived technologies are used in the tyres, including multi-compound technology where different rubber compounds are used on the inner and outer sections of the tread to ensure high and consistent grip levels in a variety or weather conditions. In addition, Track Variable Contact Patch 3.0 optimises the pressure in the tyre's contact patch so the same amount of rubber is always in contact with the road or track, whether driving in a straight line or cornering. Hometyre supply and fit the full range of Michelin tyres for car, 4x4, and light commercial vehicles. Call today for more information. Bridgestone is strengthening its premium DUELER 4X4 range with the launch of the Dueler A/T 001 a tough all-terrain and all-season tyre that doesn't compromise on its on-road capabilities. 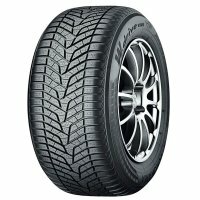 The well-balance Dueler A/T 001 gives enthusiast off-roaders the traction to go wherever the want on dirt or mud with great handling and control when they are back on the road in any weather, all year round due to being designed using Bridgestone's advanced tread block and compound technologies. "The Bridgestone DUELER range has built a strong position on the 4X4 market, with motorists and OEM customers" says Jerome Boulet, Director Product Marketing at Bridgestone Europe NV/SA. "The new DUELER A/T 001 with strengthen this reputation as it balances great off-road traction with superb road handling. The lighter construction also makes it a more environmentally friendly tyre." The Dueler A/T 001 has replaced the Dueler A/T 694 across Europe. It will initially be available in 23 sizes for 15" to 18" rims, covering more than 50% of the European 4x4 tyre demand. Hometyre supply and fit the full range of Bridgestone tyres for car, 4x4, and light commercial vehicles. Call today for more information. Michelin's CrossClimate tyre is now available to a wide range of SUVs and 4X4s. 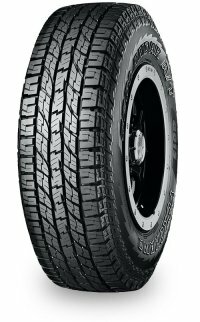 The CrossClimate was the world's first summer tyre to achieve the 3PMSF winter accreditation and has won a string of awards since its launch. The CrossClimate offers the benefits of a summer tyre for dry or wet braking, total mileage and energy efficiency, while also boasting the traction and braking performance of a winter tyre on cold and snow-covered roads. 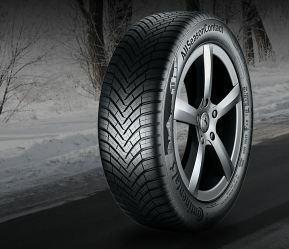 With a V-shaped tread and self-blocking 3D sipes, the tyre is designed to optimise traction in snow. Described as a "claw" effect, the vertical and lateral waves of the sipes give the tread blocks greater rigidity, while also benefiting longevity, steering precision and general dry road performance due to its ability to resist heat build-up. 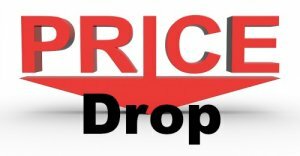 We're thrilled to announce a major drop in new tyre prices online here at Hometyre. Now you can experience the most comprehensive mobile tyre service on the market, book appointments to-the-minute with our friendly team AND pay less. What's more, there are no hidden charges on this site. What you see is the final fitted price. NO extra charges for fitting times and we can often book you in within 24 hours too. There's never been a better time to use the Hometyre service. We've been supplying and fitting new tyres mobile since 2003 and have coverage from Edinburgh to Eastbourne. Come and join the hundreds of thousands of converted motorists! We are starting to see the new Continental PremiumContact 6 in a wide range of sizes becoming available for supply and fitting. The new PremiumContact 6 will gradually replace its successful predecessors, the ContiPremiumContact 5 and ContiSportContact5 both of which were high-selling models in the original equipment and replacement markets. The new PremiumContact 6 offers top-class braking performance, particularly on wet roads. The compounding experts at Continental in Hanover have come up with solutions that enable substantial progress in other tyre parameters without having to surrender the tyre's high safety reserves. On the EU Tyre Label the PremiumContact 6 achieves the top "A" rating for wet grip. 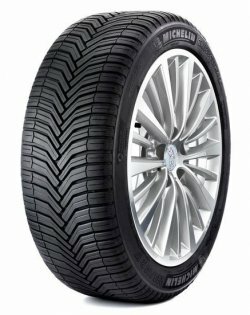 The new tyre also presents a 15 percent improvement in mileage compared to its predecessor, and at the same time interior and exterior tyre/road noise is down by as much as 10 percent progress achieved through the combination of an abrasion-resistant polymer compound with a supple tread pattern. Handling and rolling resistance are also respectively three and five per cent better, while wet and dry braking performance remains at the same level as with the outgoing tyre. Alongside safety and comfort, Continental strove to give the PremiumContact 6 sportier handling than the ContiPremiumContact 5. To this end, Continental's tyre developers adopted the shoulder design from the SportContact 6 and combined it with asymmetrical tread rib geometry. This 'advanced macro-block design' employs long shoulder blocks that support one another, providing additional grip. The resultant complex block structure in the tyre shoulder is capable of effectively transferring very high forces, such as those generated under cornering. The asymmetrical rib structure in the tread delivers a similar level of performance in transferring lateral guidance forces. "The main requirement of the new PremiumContact 6 is to deliver uncompromising safety," says Prof. Dr. Burkhard Wies, Head of Tyre Line Development EMEA/Americas OE and Replacement at Continental. "Developing a tyre that is so balance that is can meet this demanding requirement and at the same time deliver maximum comfort and precise, dynamic handling, as well as high mileage and low rolling resistance was both a major challenge and huge motivator." Hometyre supply and fit the full range of Continental tyres for car, 4x4, and light commercial vehicles. Call today for more information. Firestone have launched a new top performing touring tyre and a new van tyre in the space of a few days. 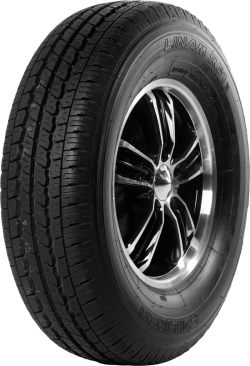 Roadhawk, a tyre built to perform longer and offer drivers best in class wet grip and dry braking, will add to the Firestone range along with the Vanhawk 2. Jake Rønsholt, Bridgestone Europe's consumer managing director, said "Firestone has been producing quality tyres for more than 100 years. We understand what tyres have to go through and we listen to what drivers want. The new Roadhawk is designed to give everyday drivers a high level of safety and long-lasting performance, whatever the conditions." The new Roadhawk has been tested and proven by TÜV SÜD, the largest independent institute for tyre and wheel technology in Europe and has received the coveted TÜV SÜD Certification Mark. 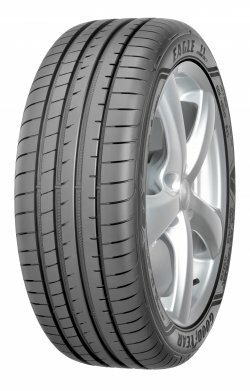 The Firestone Roadhawk has been designed to provide the highest possible level of wet control with its unique tread pattern and specially-developed compounds. The Roadhawk achieves the top 'A' EU-label grade for wet grip. This even beats many brands in the premium-price tyre segment. Independent TÜV SÜD tests show the new tyre also provides best in class dry braking performance, with braking distances up to three metres shorted than competitor tyres. Roadhawk is designed to provide long-lasting performance throughout the tyre's life span. Tests also show that the Roadhawk outperforms its competitors in the wet after 20,000 kilometres' wear. Roadhawk also offers up to 20% better wear performance than its predecessor Firestone TZ300. In addition, construction of the new tyre features a lightweight carcass tuned for low rolling resistance giving motorists the reassurance to lower fuel consumption. Hometyre supply and fit the full range of Firestone tyres for car, 4x4, and light commercial vehicles. Call today for more information. It may still be February but the nights are now noticeably drawing out and a few spring buds are breaking through. Not that we couldn't still be hit with a cold snap, of course, but already we're starting to receive plenty of bookings for new tyres and Tyron™ bands from customers preparing their vehicles for the year ahead. 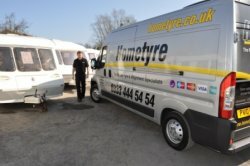 A firm favourite for owners of caravans and motorhomes across large parts of the UK, our mobile services really do make the whole process of replacing tyres so much easier. Order your choice of tyres from a vast range of brands and sizes and we'll make sure we'll only fit the freshest and most recently manufactured tyres that we can. Whether your vehicle is stored at home or at a designated storage site, our fully self sufficient mobile tyre fitting vehicles will come to you at the date and time that you prefer. Tyres are fitted and balanced on site and your old tyres removed for proper environmental disposal. Falken presents a new summer tyre tailored for light trucks and vans. The LINAM VAN01 has been added to their product range. The LINAM VAN01 optimised tread pattern, with large central sipes and a wide flat profile, provides even pressure distribution throughout the footprint area. This boosts grip, improves braking performance and driving stability, and enhances wear life. The sidewalls incorporate optimally positioned reinforcements, which deliver additional durability and help to prevent damage from kerb contact and poor road surfaces. With these great new features, the LINAM VAN01 offers 15% longer service life compared to its predecessor. The innovative new casing design ensures sidewall contours remain evenly circular, even at high speeds. It also reduces vibration, enhancing driver comfort and ensuring smooth driving and shorter braking distances. The LINAM VAN01 and FALKEN's winter van tyre EUROWINTER VAN01, both utilised the company's pioneering 4D Nano Design technology. This innovative rubber compound is designed to deliver maximum grip and improved rolling resistance. As a result, the FALKEN LINAM VAN01 offers 16% better rolling resistance compared to its predecessor. Hometyre supply and fit the full range of Falken Tyres for car, 4x4, and light commercial vehicles. Call today for more information. Falken Tyres have been chosen as the original equipment manufacturer for the Volkswagen Tiguan models. 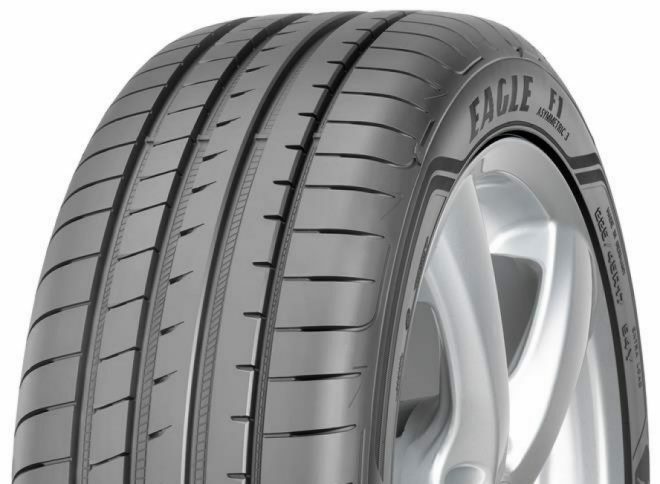 Falken are supplying ZIEX ZE914A ECORUN 215/65R17 99V will be factory-equip the new vehicles. German motoring magazine Auto Motor und Sport have described the tyres as "well-balanced in wet conditions, with extremely neutral handling and extremely precise steering. Offering good ride comfort." "The ZIEX ZE914A ECORUN is an outstanding tyre and an excellent fit for the new SUV class from Wolfsburg's automotive specialists," Enthuses Christian Stolting, Key Account Manager OE at Falken Tyre Europe. "We're delighted that Volkswagen has chosen our tyres as original equipment for a further vehicle model in its portfolio, and regard the decision as confirmation of our tyres' performance." A recent survey conducted by an online retailer reveals on average 53% of people cannot change a car tyre. Learning the basics of how to change the tyre yourself could help you continue on your journey and have the flat tyre fixed or replaced when you get home. In your car you should have the following items: jack, locking wheel nut key (if lock nuts are fitted), wheel nut wrench, screwdriver, spare wheel (inflated to correct pressure), owners manual. First try to park on a reasonably flat area, then put on your handbrake to stop the car from moving. If your car has a hubcap, wheel trim or covers over the wheel nuts you need to remove this first using the screwdriver. You must then loosen the wheel nuts and locknut about ¼ of a turn using the wrench, this will prevent the wheel from spinning once it is raised off the ground. The next job is to jack the car up, use the owners manual to find the correct jacking point (some cars have a small triangle imprinted into the sill indicating the correct point) jacking in the wrong position could damage the underneath of the car. With the jack properly positioned, slowly raise the vehicle until the flat tyre is clear of the ground. You can then remove the wheel nuts. Next, remove the flat tyre and put it to one side. The next job is to fit the spare wheel, lift the wheel up and place it on the hub, lining up the bolt holes. You may have to raise the car a little higher using the jack to allow for the inflated spare tyre. Replace the wheel nuts and using the wrench nip them up lightly. You can now carefully lower the jack and remove it from under the car. The next job is to tighten the nuts fully using the wrench , do not over-tighten the nuts by standing on them. Using a torque wrench is the best method of tightening the nuts to the correct setting if you have one. The reason you tighten the nuts when the car is on the ground is because the wheel won't rotate like it would if it were still jacked up in the air. Once complete remember to put the locknut key back in a safe place (boot or glovebox).